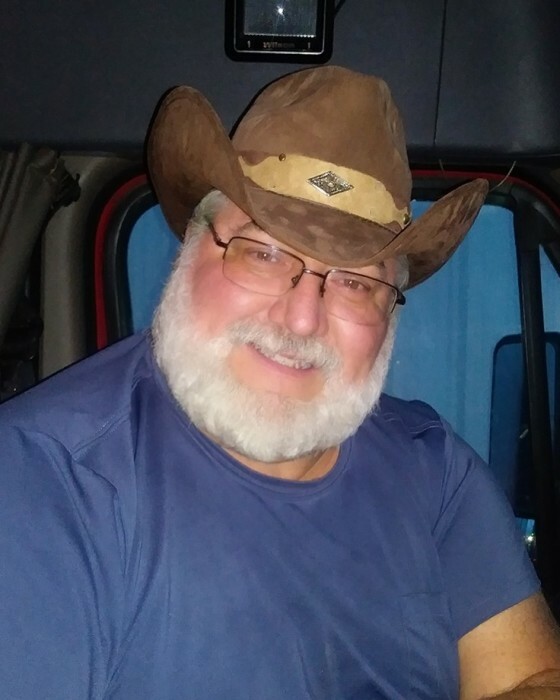 LOSANTVILLE- William Eric Atkinson, 57, passed away unexpectedly on February 7, 2019 in Evanston, Wyoming. Eric was an owner/operator truck driver and passed away while on a trip from Idaho to Florida. A son of Robert Lee and Mary Lou (Woolsey) Atkinson, Eric was born in New Castle, Indiana on December 28, 1961. Eric lived in New Lisbon as a young boy and grew up in Dublin. He was a 1981 graduate of Lincoln High School. Eric enjoyed life and spending time with his family. He was certified in scuba diving and as a farrier. In his leisure, Eric enjoyed listening to music, cooking, and spending time outdoors hunting and fishing. Eric served his country in the United States Army Reserves and received several citations for his honorable service. He was a member of the American Legion in Cambridge City and Farmland. He moved to Losantville in 2012 from Pershing. Survivors include his wife, Mary Jane (Jose’) Atkinson. They were married in Winchester on March 8, 2016. 3 children, Lacey Kay, William Dakota and Savina Kealyn Atkinson all of Losantville; 1 brother, Robert Lee Atkinson Jr. of Cambridge City; nephew, Justin and niece, Erika Sonnier. Eric was preceded in death by his parents and his sister, Terri Darlene Sonnier. Visitation will be from 3-8 p.m. on Thursday February 14, 2019 at Marshall & Erlewein Funeral Home, Dublin. Graveside Services with Military Honors provided by the American Legion will be at 1 p.m. on Friday February 15 at the New Lisbon Cemetery.